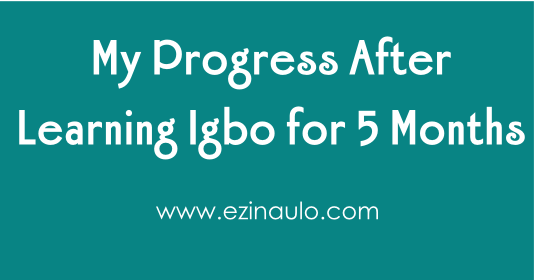 At the beginning of the year, I made a promise to myself to get serious about my Igbo language studies….na ọnwa ise (5 months) later, I want to sit back and reflect on how far I have gotten, what I did to get there, and how I can improve. And I hope you can learn from my experience. There were so many times where I knew how to say/write things in Igbo, but I would say/write it in English instead because I was more comfortable and it would be a lot quicker. I really have to stop this habit because it is delaying my progress. I wasn’t consistent as much as I wanted to be with my Igbo studying these past 5 months. Yes, I had long streaks of studying everyday for weeks at a time. But then there were weeks every now and then when I couldn’t find the energy to study and practice. I also had a very bad experience working on my Igbo tones which I may talk about later. Igbo tones + my American accent + my English tongue = Disaster! This experience had me ignoring my Igbo tonal drills for days and wanting to give up on ever speaking Igbo correctly. Falling off track like this was very discouraging for me because it can be hard to get back on track once I stop. I always feel like I’m letting myself down since I could be a lot further in my Igbo studies if I didn’t stop when things got hard. Just this last week, I wasn’t really happy with my consistency this past few months. But I said, that’s ok. It’s a new day, a new week. I can make this week better. I made a checklist of things that I wanted to accomplish with my Igbo studies for the week and I have been getting them done everyday since then. This momentum feels great! Overall, I learned a lot of new words. I am getting better at knowing how to conjugate my Igbo verbs without looking it up all the time. I worked on developing my ear and tongue for the Igbo tones (though I still need practice). I spoke the most Igbo I have ever spoken in life…though I still need to speak more Igbo on a regular basis. Yes, my progress is slow, but I say any progress is a success! And I have been speaking Igbo na nne na nna m on the phone every week! It’s important to celebrate your progress on the way to learning Igbo, no matter how big or small! If not, you will feel like giving up because you will think you are not learning anything. Understanding native speakers speak Igbo! Anyone who knows me knows that hearing Igbo is very hard for me. So whenever I can hear what someone says in Igbo, I get very excited. I recently had a very basic and short conservation with a native Igbo speaker and I understood like 70% of what she said. It felt very cool! Last year, it was very hard for me to hear even the most simple things in Igbo. Now, I’m hearing more and more each day. My listening skills in Igbo still aren’t the best. But this small win gave me the confirmation I needed to know that what I’m doing with my Igbo studies is making a difference. And it gave me the motivation I needed to keep it up working on it until I am able to hear Igbo ọfụma. It was somewhat hard to write this review because I haven’t really been documenting my progress as well as I should. And I was randomly learning things in Igbo with no purpose in mind. But time to change that! A chọrọ m ịmalịte…tracking my progress kwa ụbọchị. This summer I’m going to start incorporating better documentation methods focusing around specific goals that I will share with you later on. So hopefully, the next time I write a review of my Igbo language progress I will have better insight of what I actually learned and how I did it. 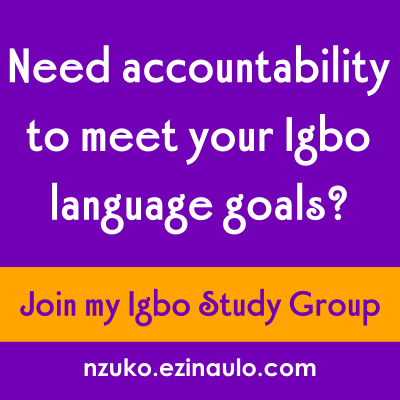 I am challenging myself to speak and/or write Igbo to every Igbo person I come across this summer. I have gotten a lot better with this, but it still feels uncomfortable at times….even if it’s just the typical “Kedu”, or “Ndewo”, or “Biko.” As a native English speaker, it still sometimes feels silly to say basic phrases in another language. Sometimes before I try to switch languages, there’s this negative thought in the back of my mind like, you sound/look silly, just say it/write it in English instead of Igbo. But I’m going to ignore those defeatist thoughts in my head and move forward with my goals. 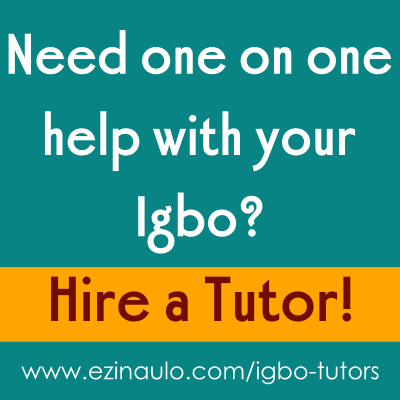 I want to be more confident communicating in Igbo with other Igbo people and I think this is the best way to start. I know a lot of words in Igbo (I would say at about a conversational level almost). But there are so many more words I need to know. I would love to learn at least 100 Igbo new words this summer. So that’s about 30 words a month. 1 new word a day. That’s doable right? Again, 100 words isn’t a lot. But like I said, with my Igbo mantra for the season, I want to keep things simple until I develop a good learning habit. Daalụ for reading up on my progress these past 5 months so far. 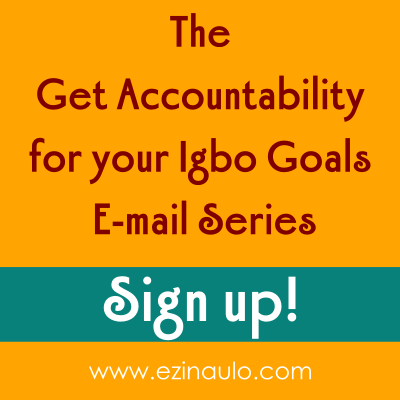 I hope it inspired you to keep up with your Igbo language learning journey. It’s a long road ahead, but we will get there! 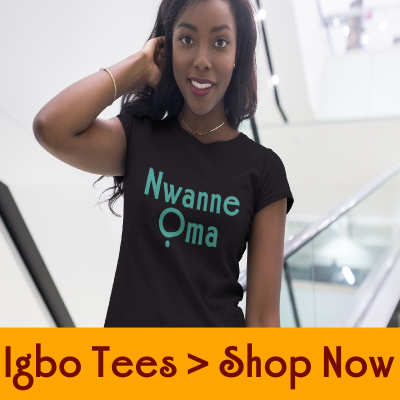 How has your Igbo progress been going these past few months? What did you do well? What did you struggle with? What were your small or big wins? What are your plans for this next season? Let me know in the comments what has been working and not working for you so far!